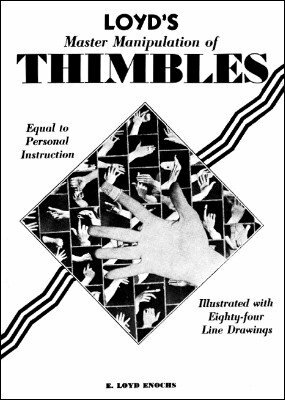 This is considered one of the best, if not THE best publication for manipulating thimbles. Includes many new and original concepts. It comes with 84 gorgeous line drawings. The original booklet had these drawings in very small size. For this ebook we have completely reformatted it and enlarged the drawings to allow easier studying. 1st edition 1931, 1st digital edition 2009, PDF 49 pages.